Home » Learn to drive with automatic transmission! Learn to drive with automatic transmission! 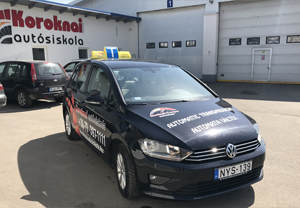 Our students now have the opportunity to complete the practical exam, and driving lessons with a car, that is equipped with an automatic transmission! What are the benefits of learning to drive with automatic transmission? Students, who learn to drive with manual transmission spend a huge part of their lessons with getting familiar with shifting gears. Automatic transmission makes this process a lot shorter, and more simple, and decreases the fear of stalling the car. 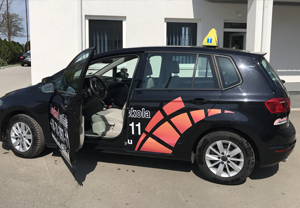 This way, our tutors and students can center their focus on traffic situations, and applying theoretical rules in practice, raising the chance of a successful practical exam in some cases. Can I drive cars with manual transmission after passing the exam? The practical part of the course, and the practical exam is completed with a car equipped with automatic transmission. After you complete every necessary exam, you get a driving licence with a restriction – you can not drive cars with manual transmission. BUT! This restriction can be cleared after you make a successful practical exam with a manual transmission car. (you don’t have to repeat the whole course again)! or take a look at our prices!